Senator Elizabeth Warren lost her battle over the government spending bill. But she ended the week a winner. Warren implored her colleagues to change the bill because it undoes a central piece of the Dodd-Frank financial reform law. 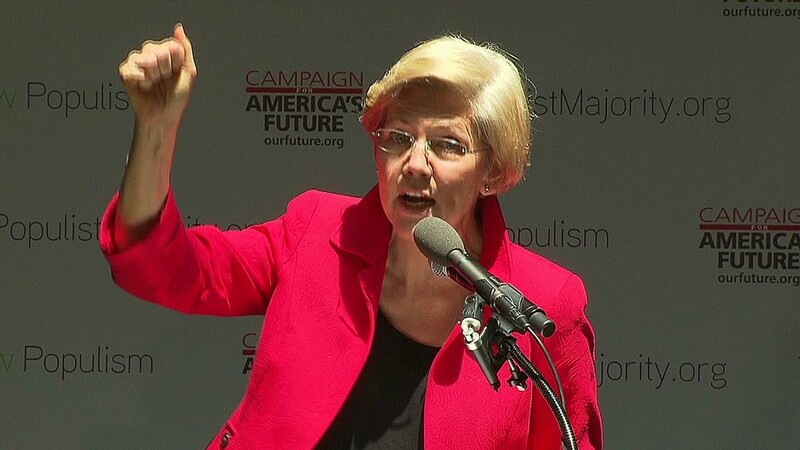 Warren called the legislation a giveaway to Wall Street "written by lobbyists for Citigroup." She won over a few supporters, and Congress ended up voting for the spending bill despite her objection from the left and unrelated immigration concerns among some Republicans. Warren's campaign and No vote against the bill fueled those who want her to run for the 2016 Democratic nomination for president. "Elizabeth Warren was told to stay quiet, but she didn't - and it's paying off," read a Sunday morning headline from The Washington Post. The paper noted that "she can operate as an insider without giving her up outsider credentials," citing her recent appointment to Senate Democratic leadership. Politico tested the temperature of progressive activists. "With every recent anti-establishment move, the Massachusetts Democrat grows more attractive as a 2016 (presidential) candidate, both in her own right and as a progressive foil for Hillary Clinton." She's currently a foil for her own party, leading the charge against President Obama's nominee to a key Treasury Department post. The Huffington Post even published a commentary on her Senate floor speech against the spending bill. "The Speech That Could Make Elizabeth Warren the Next President of the United States," read the headline. Warren has said repeatedly she isn't interested in pursuing the White House next election. But Ready For Warren, a group pushing her as a candidate, on Friday unveiled hundreds of signatures in support of her running. The signatures are from 2008 and 20012 Obama campaign employees and volunteers. "Rising income inequality is the challenge of our times, and we want someone who will stand up for working families and take on the Wall Street banks and special interests that took down our economy," they wrote in a letter posted on the group's site.